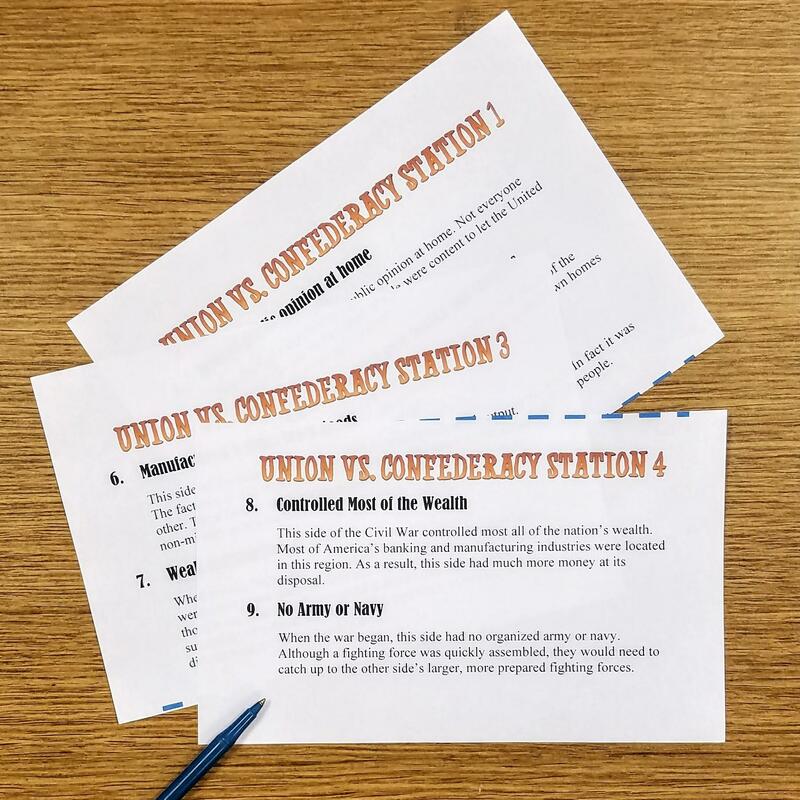 Each unit in our social studies curricula includes engaging, innovative resources and activities that you and your students will love. From warm ups to assessments, every part of your curriculum is covered! 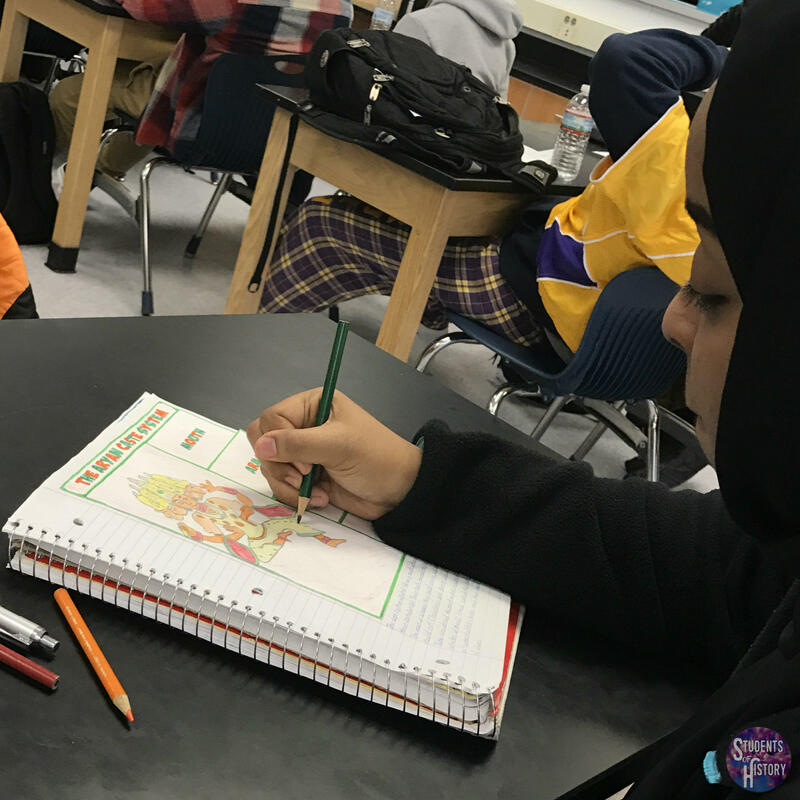 All of our units are filled with a variety of activities proven to help students understand key concepts. 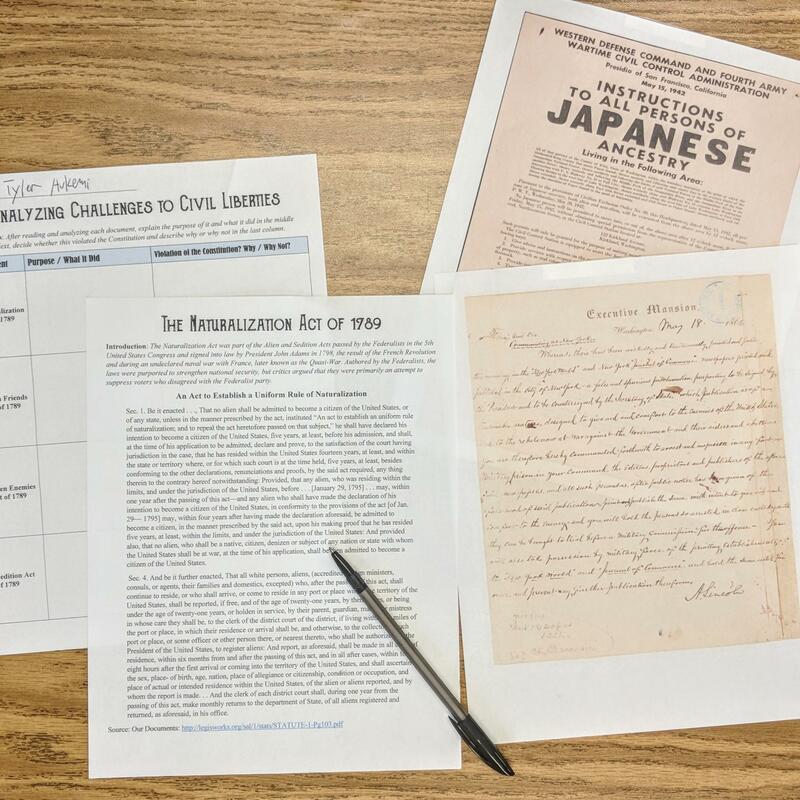 They are based on state and national social studies standards and include Project Based Learning, digital activities, primary sources, and more. Here are just some of the resources that are included in our curriculum. 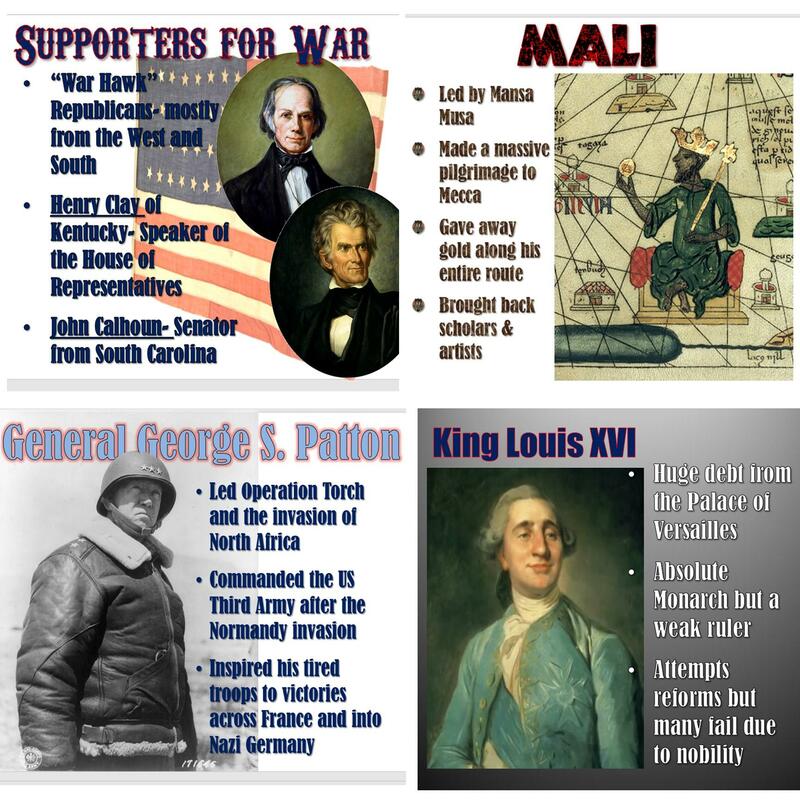 Each unit in our World History, US History, and Civics curricula includes fantastic Digital Interactive Notebook pages. These use the features of Google Drive and online resources to effectively engage students. 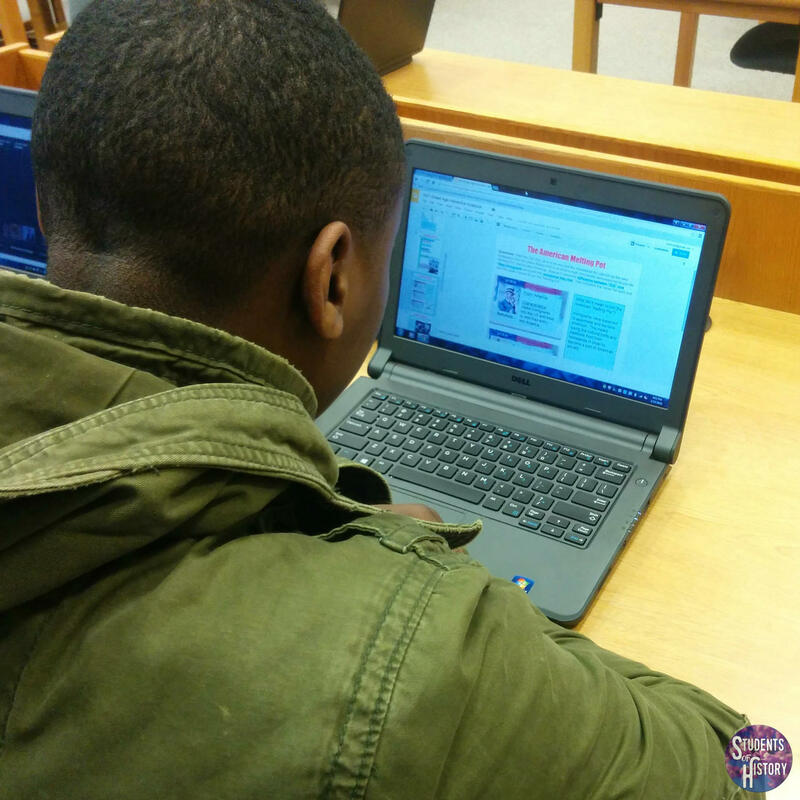 Links send students to reliable online sources to learn about the content. Then, they can type directly on their pages, insert images, and drag & drop information for a variety of interactive activities. 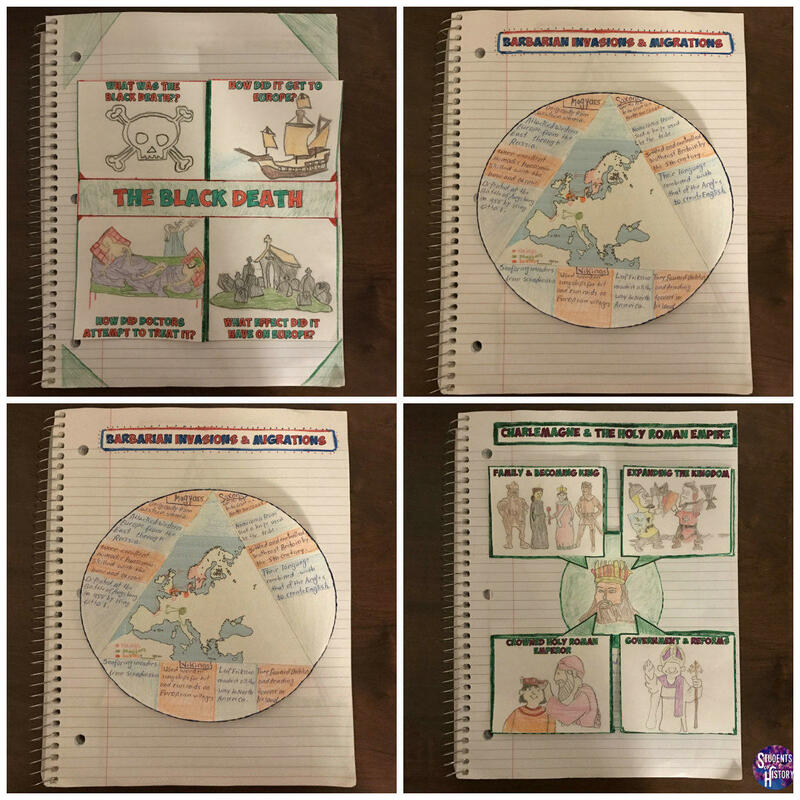 These digital pages are a fantastic way to integrate technology into your classroom and can be completed without printing any paper! Awesome for a 1:1 school or just a trip to the computer lab. You can read reviews and download a free sampler set of these here! 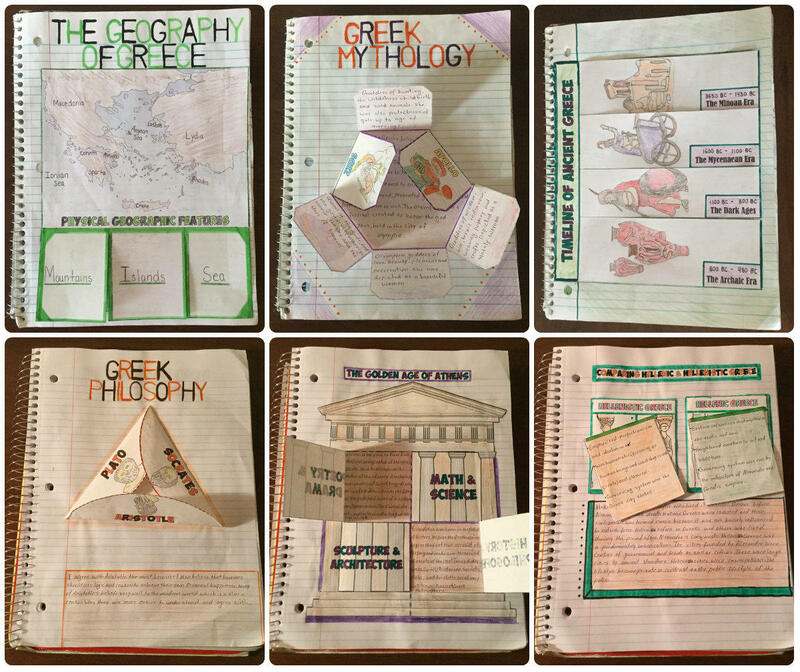 Each unit of all of our curricula include pages with graphic organizers, creative foldables, timelines, and more. All have been used successfully in diverse secondary classrooms and are proven to help students better connect with the curriculum. 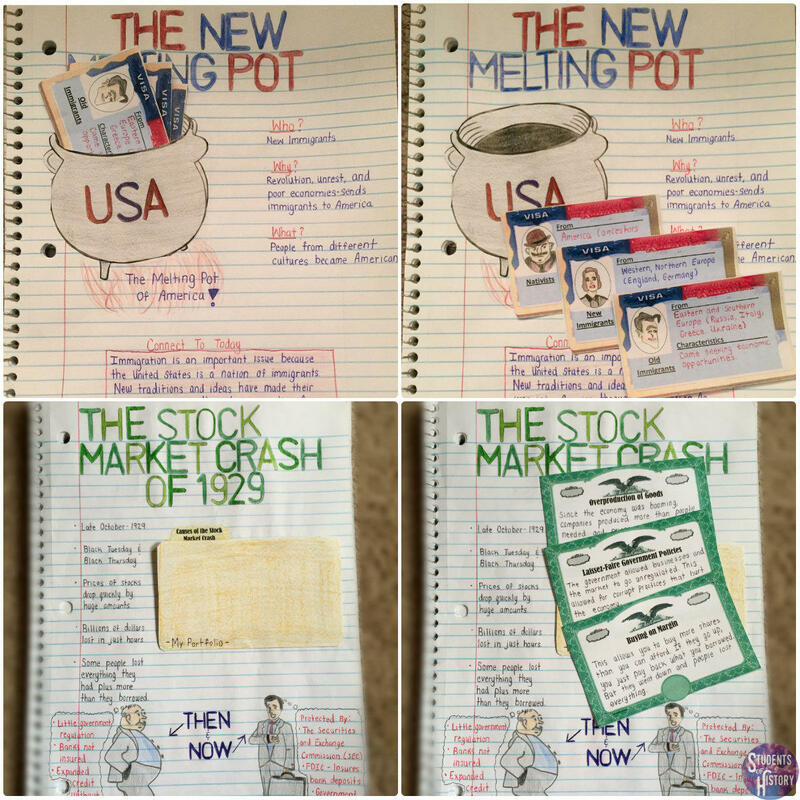 You can check our reviews of my interactive notebooks here or download a free sample here! 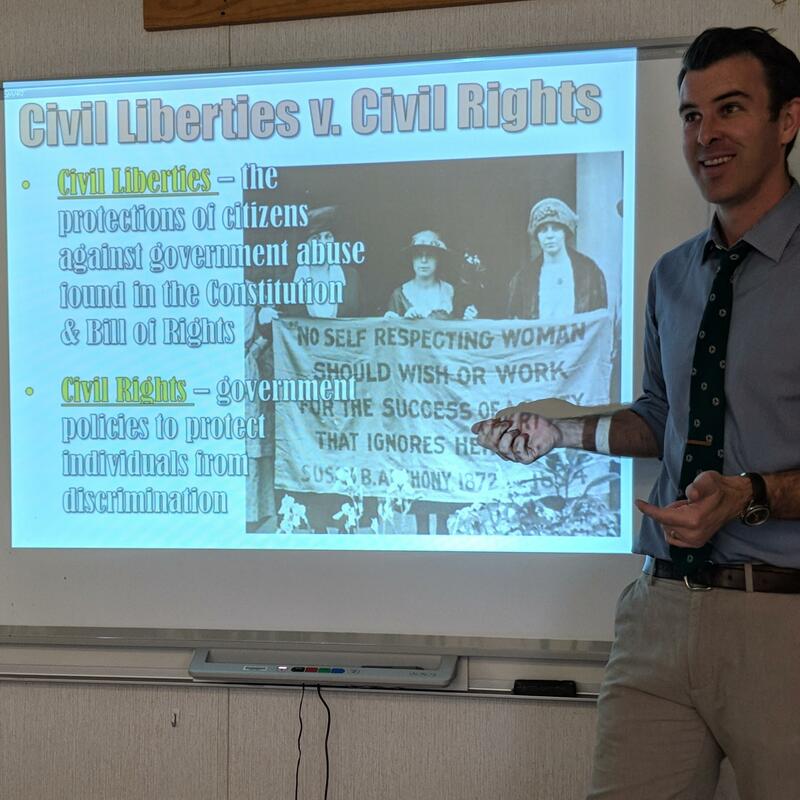 If you're a social studies teacher then you surely rely on PowerPoint for some of your classes. 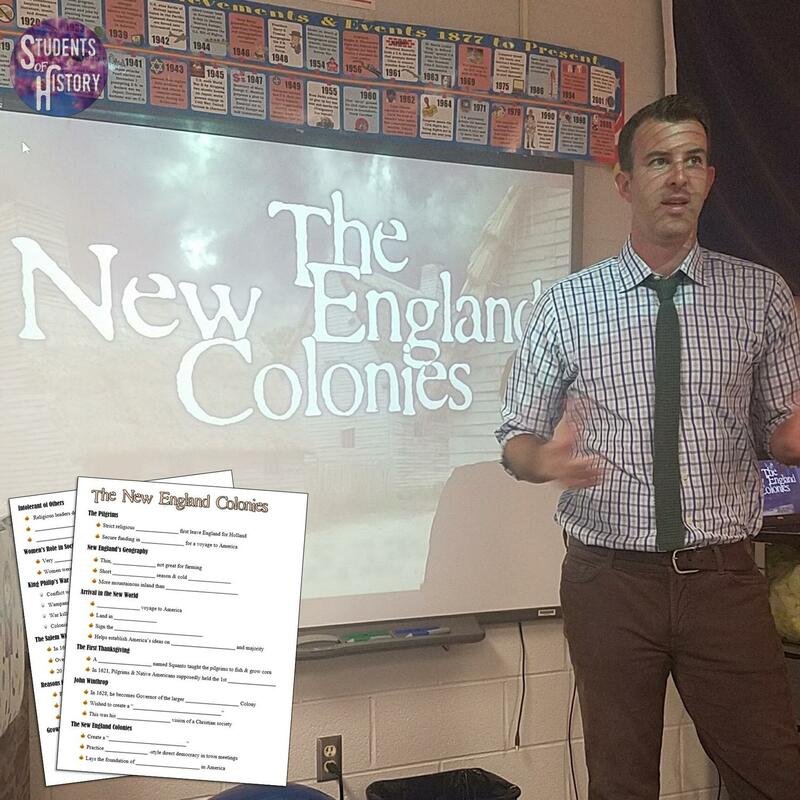 Our social studies PowerPoints are some of the most engaging you'll find anywhere - and they're all editable as well! Flipped Classroom video versions of every presentation are also now being added to each curriculum! 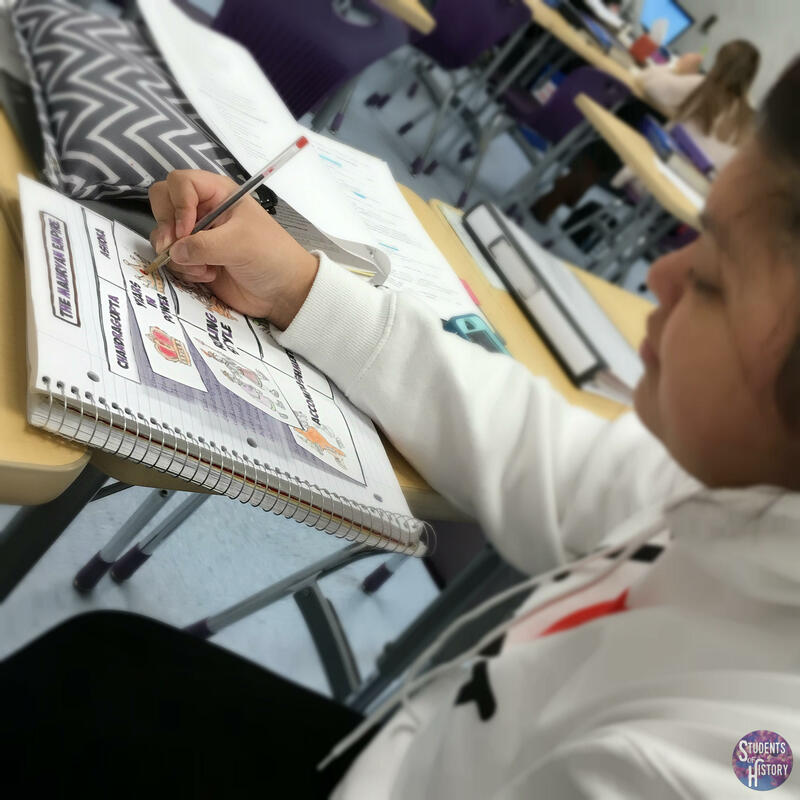 PowerPoints also include printable guided notes or graphic organizers so your students can focus on the key concepts and not how much they're writing. You can take a look at many of them here and read through the hundreds of positive teacher reviews! 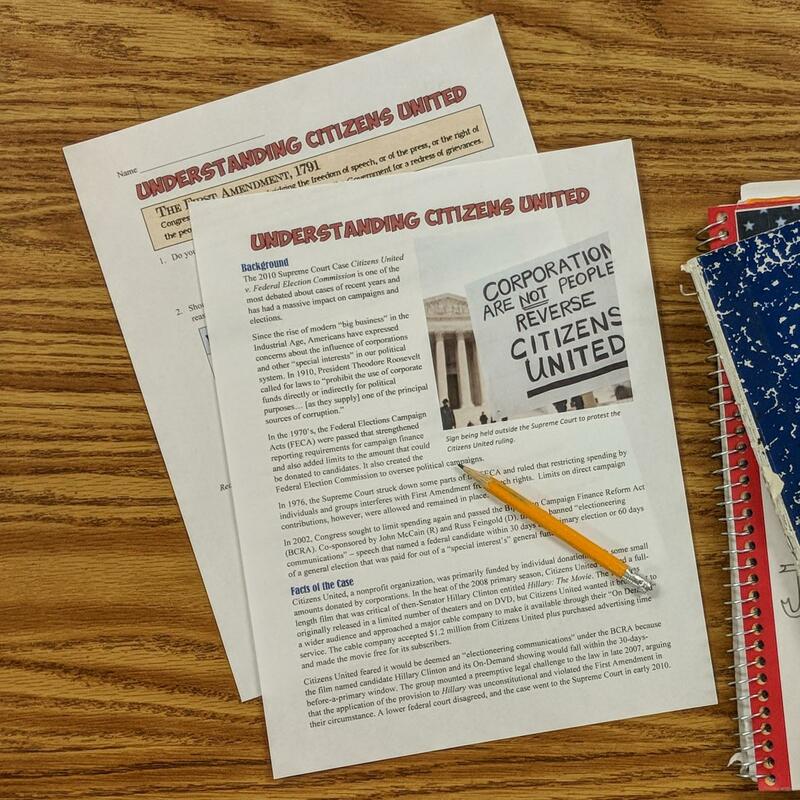 Every unit in our history and civics curricula includes lots primary source activities, secondary source readings, and worksheets for in-class activities or homework. There's also a variety of engaging projects in which students work together in groups or individually. 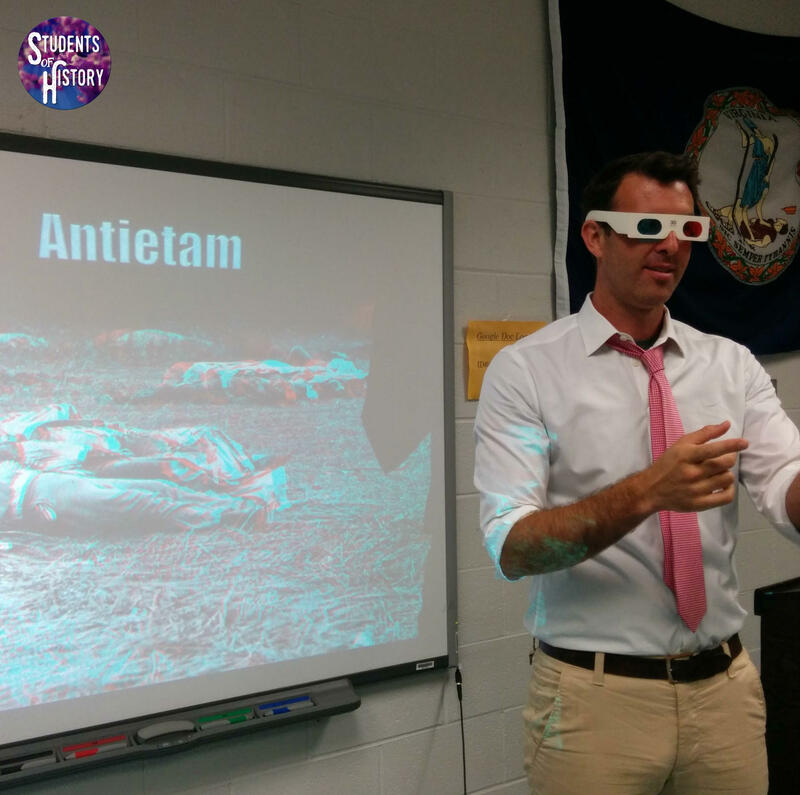 These include history simulations and station activities to get students up and moving around the room. 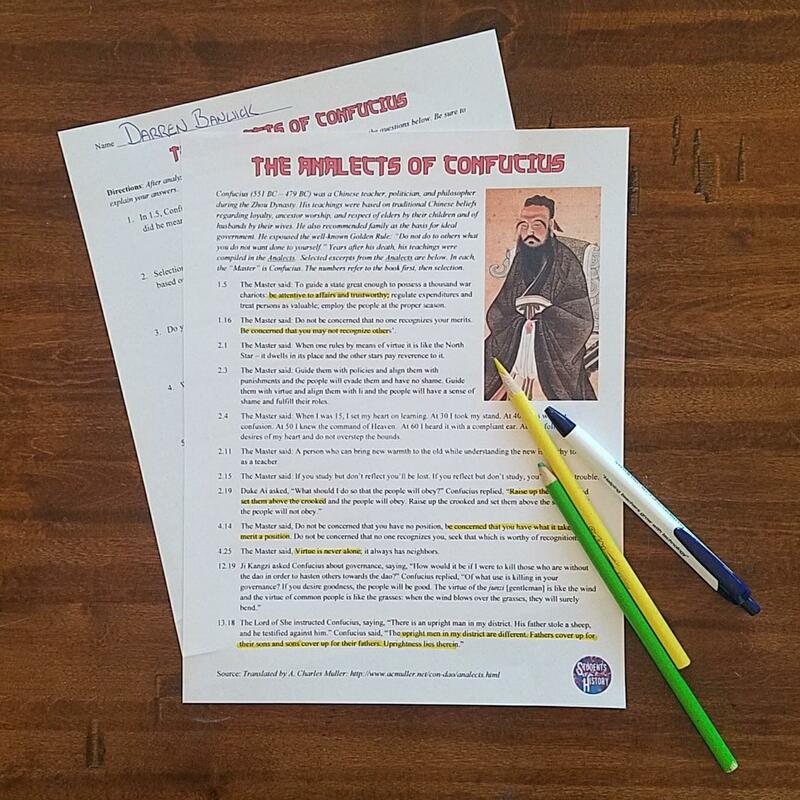 An in-depth Project Based Learning packet provides everything you need to bring PBL assessments to any unit in your curriculum. Best of all, everything is fully planned out for you. No more worrying about what reading to pair with what PowerPoint or activity. 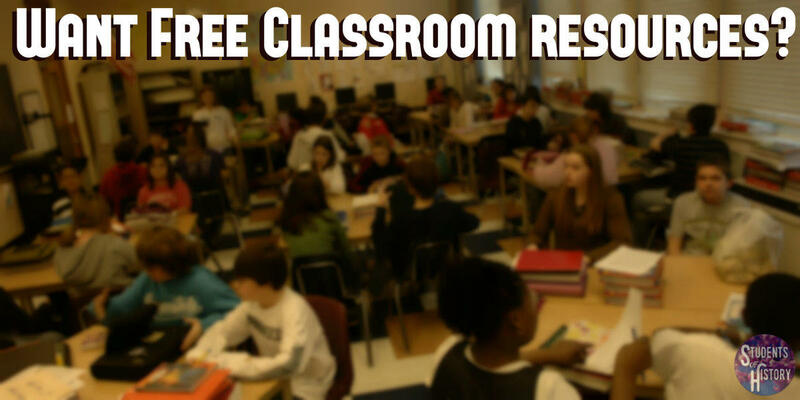 Our easy-to-follow lesson plans explain exactly when and how to use each resource! 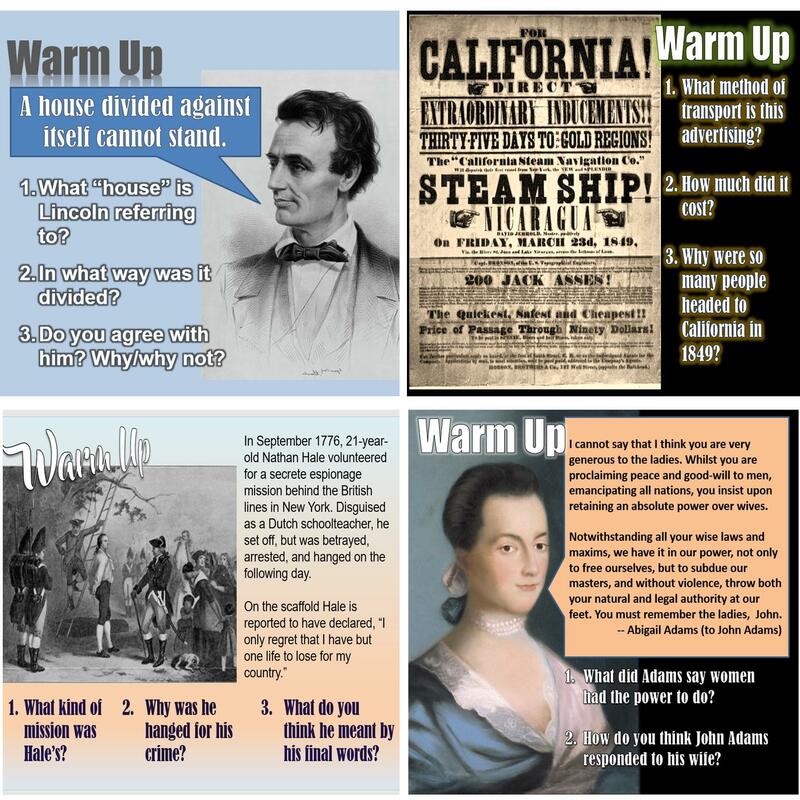 Before you go, why don't you sign up to download some of our FREE social studies resources! 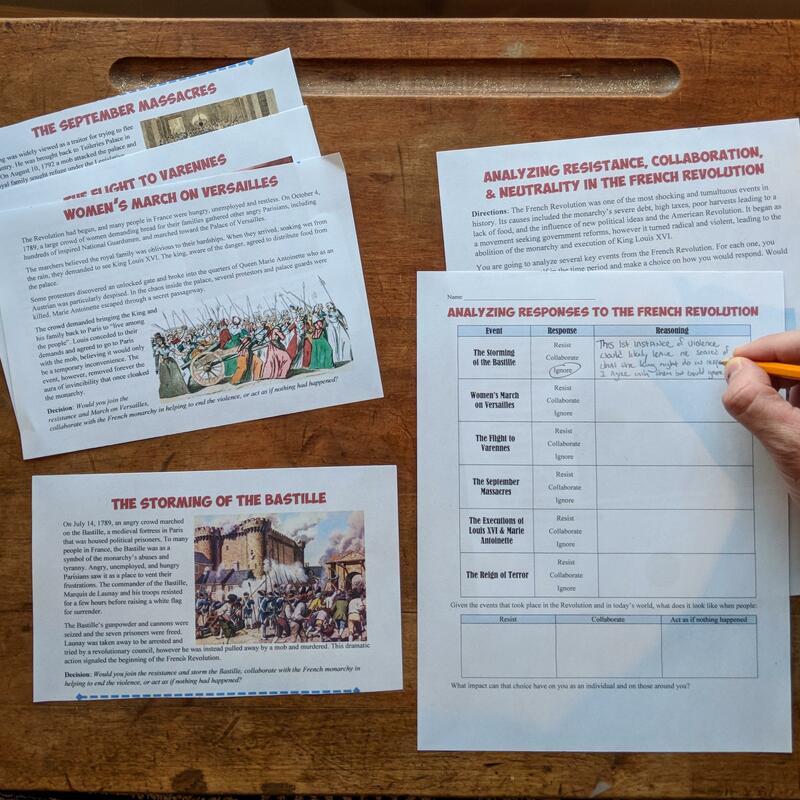 Enter your name & email below to download a FREE sample pack with over 30 pages of social studies resources!